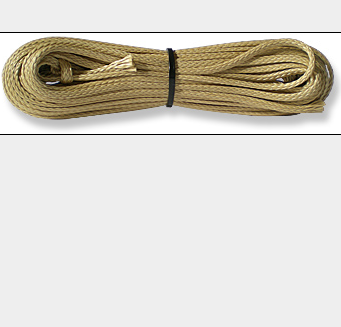 The Nine-Fifty Cord is the beefier big brother of our Ultimate Survival Cord. Made from woven Technora®, it has an amazing breaking strength of over 950 lbs. and has a PTFE coating for protection from the elements. Technora® offers very high strength, low stretch, and high abrasion-resistance. The coating provides additional abrasion protection as well as water resistance and ultraviolet inhibition. Length: 40 feet. Diameter: 0.11 inches. Weight: 1.3 oz. Color: desert tan. Breaking strength: 950 lbs. plus. Made in <?xml:namespace prefix = st1 />USA.